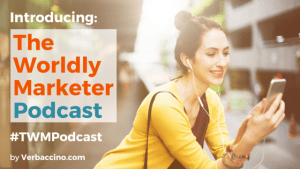 The Worldly Marketer Podcast is here! Industry insiders as well as global-minded entrepreneurs and marketers have been spreading the news. 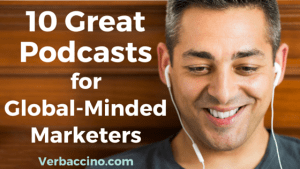 The first 11 interviews include an impressive list of guest experts on a variety of global marketing topics. 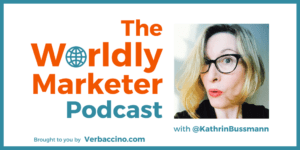 So make sure to tune into #TWMPodcast via the Verbaccino website or on iTunes! Here’s the episode guide so far.